Having just spent a few days in one most patriotic of cities, Annapolis, MD, I felt the Fourth of July spirit a little early this year. Everything from boutiques selling American Flag scarfs to delis selling crab cakes and reciting the pledge to the flag every morning, that city seems like it’s in a constant state of pride. To celebrate the Fourth this year, I wanted to find a simple project to decorate my apartment. 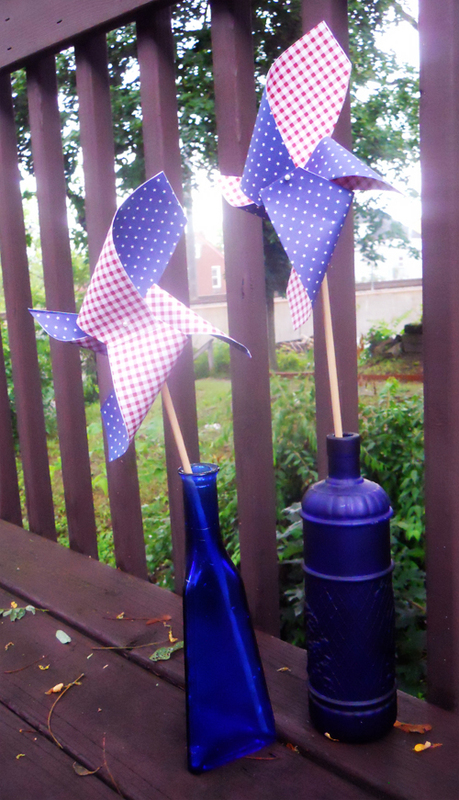 These Good Housekeeping Fourth of July Pinwheels using patriotic scrapbook paper were really easy to make. I glued two pieces of scrapbook paper together to make them double sided. The mismatched pattern effect is really cool. I think the dowels I bought were a little too thick as I had a hard time hammering my pin through. I also skipped the sticker as I used straight pins a with a pretty white button at the top. 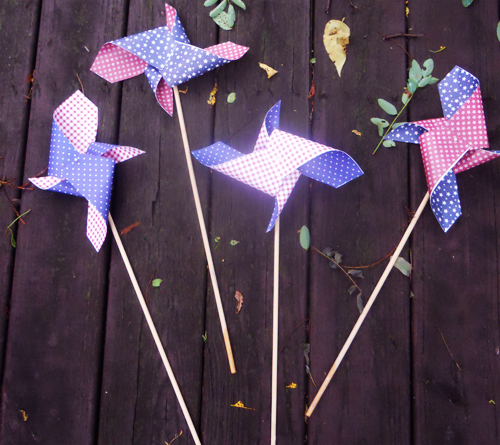 Next time I would have used my glue gun instead of a glue stick to glue the pinwheels together to make them a little sturdier. Other than that I think they turned out really well. These are great as indoor decorations in a vase or as outdoor decorations stuck in the dirt or in a potted plant.